Learn how to create a 501(c)3 tax exempt organization, which is critical for any fund raising effort. Includes samples of Bylaws and Articles of Incorporation. Develop standards, operating procedures, policies and guidelines, whether your specialty is K-9 or all around SAR. Samples of both are included and equipment requirements. See what types of training, classes and certifications are available. There is a comprehensive list of SAR organizations offering national certifications. Plus, requirements from government agencies, such as Homeland Security, and how to locate these courses. Other topics include documentation, training records, search reports, and the handling of personnel records. Membership recruitment / responsibilities. Fund raising ideas. Public relations, from working with the media, writing press releases to SAR presentations. 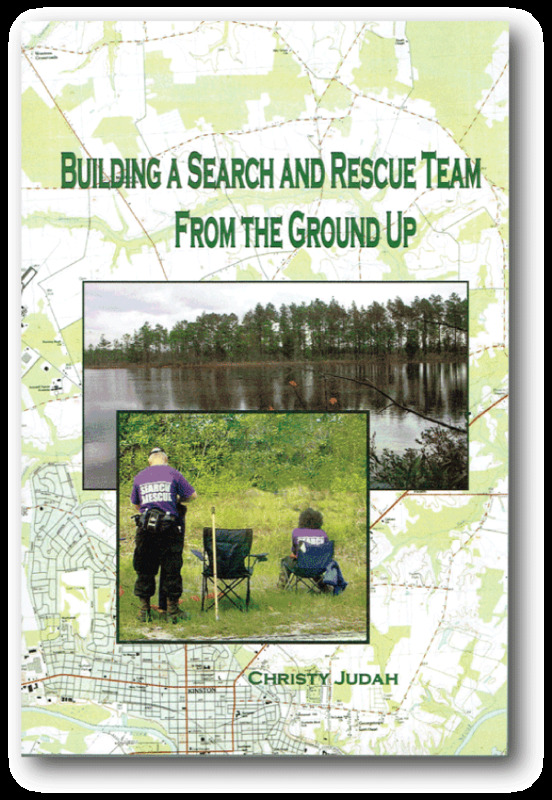 The viability of a search team is discussed, maintaining a high level of professionalism, integrity—a code of ethics. This publication says it all from start to finish. Whether your team has been around for years or brand new, there is something for everyone.